Real Madrid are reportedly eyeing a move for Christian Eriksen, but a swap deal has also been touted involving Manchester United. It has been a bitterly underwhelming campaign for the Spanish giants, as they crashed out of the Champions League and Copa del Rey last month, while they sit 13 points adrift of Barcelona in the La Liga table with just seven games remaining. 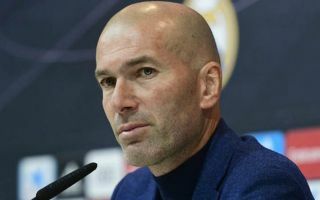 They’ve also seen Julen Lopetegui and Santiago Solari come and go as coaches, with Zinedine Zidane returning for a second stint in charge last month with the widespread belief that they will make big changes to the squad this summer in order to ensure that they compete for major honours again next season. Madrid have already officially announced the signing of Eder Militao from Porto for this summer, which will address their issues in defence having been too porous at the back this season. However, it looks as though they could move on to the midfield next, as Calciomercato reports, via El Confidencial, that club president Florentino Perez prefers to swoop for Tottenham creative ace Eriksen instead of Paul Pogba, and they are preparing an offer in excess of €100m for the Danish international. The 27-year-old has been in fine form again this season with seven goals and 15 assists in 41 appearances, and given the likes of Isco, Marco Asensio and others have struggled to provide the creativity needed this season, it could lead to a key change in that area. That being said, Sportmediaset report that Toni Kroos could be sacrificed this summer as part of the rebuild at the Bernabeu, and that could open up the possibility of a swap deal with Man Utd involving Pogba. That would be a significant reshuffle for Madrid given how influential Kroos has been in their successful run in recent years, but with speculation refusing to go away over a move to the Spanish capital for Pogba, as noted by the Independent, time will tell if Real Madrid go with their touted first-choice target or a possible swap deal for the World Cup winner.